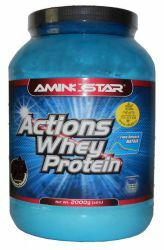 Action price: !_plati pro dopravu ceska posta dr a np a ulozenka_! 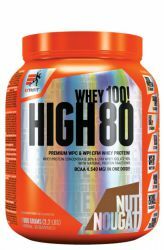 High Whey 80 is a new product from Extrifitu having improved composition which combines whey protein concentrate and CFM protein isolate. 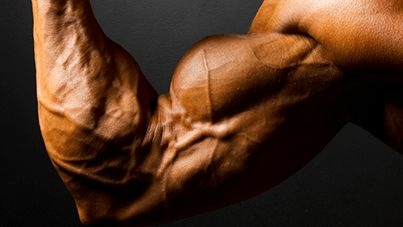 This combination is ideal for muscle growth. 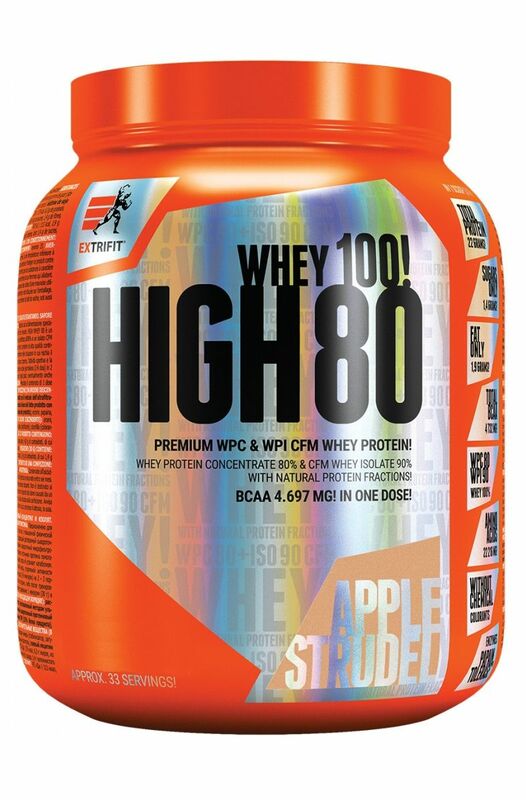 High Whey 80 is a brand new product from Extrifit! 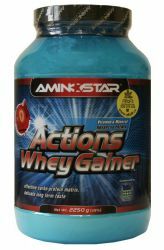 Protein products and gainers are one of our specialties. We continuously improve their composition and develop new recipes with the use of ever better and more modern ingredients. 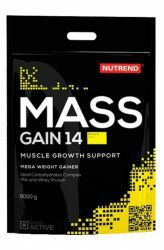 High Whey is a top 100% whey protein concentrate and CFM protein isolate for muscle growth! 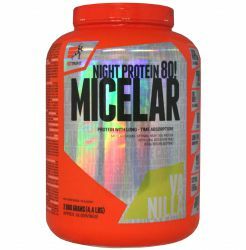 High Whey 80 is a high-quality protein containing instant (highly soluble) whey ultrafiltered 80% concentrate and a top instant whey microfiltered 90% isolate made by CFM or Cross-Flow Microfiltration. High Whey 80 is a combination of two extra-quality whey protein sources, preserving all natural protein fractions (beta lactoglobulin, alpha lactalbumin, glycomacropeptides, immunoglobulin G, bovine serum albumin, lactoferrin). It depends on body weight, sports activity and diet composition. We recommend to spread the daily dosage (2-6 scoops) to 2-3 servings that can be eaten as a snack between meals, respectively. and after training. Mix the contents of one measuring cup (30 g) in 150-200 ml of water or skim milk. Store in a dry place below 25 °C, carefully closed. 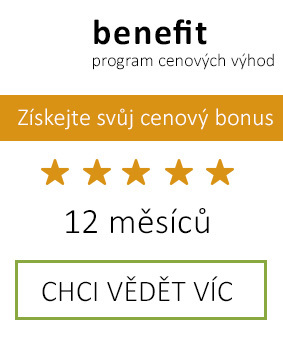 Once opened, use within six months. 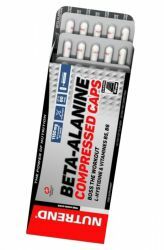 Protect from frost and direct sunlight. 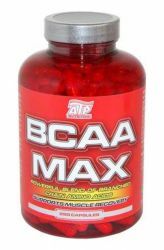 It does not contain substances of doping character. Not intended for children, pregnant and lactating women. Producer is not liable for damages caused by improper use or storage. 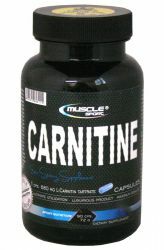 Allergens: The product contains proteins from cow's milk, including lactose, soy.